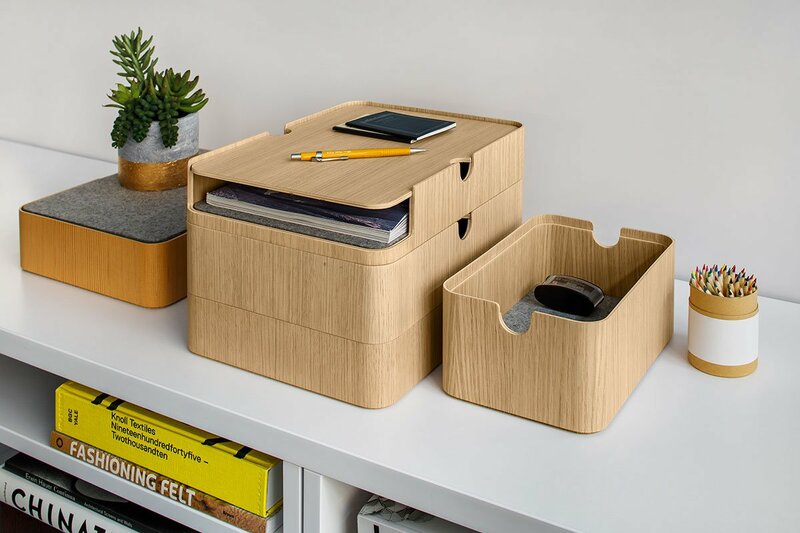 Multiply by Norwegian designer Lars Beller Fjetland is an efficient but elegant storage system of wood boxes that store, stack, and quietly stand out. The seamless plywood body sits atop a Portuguese cork base and is lined with a sheet of grey German wool felt. 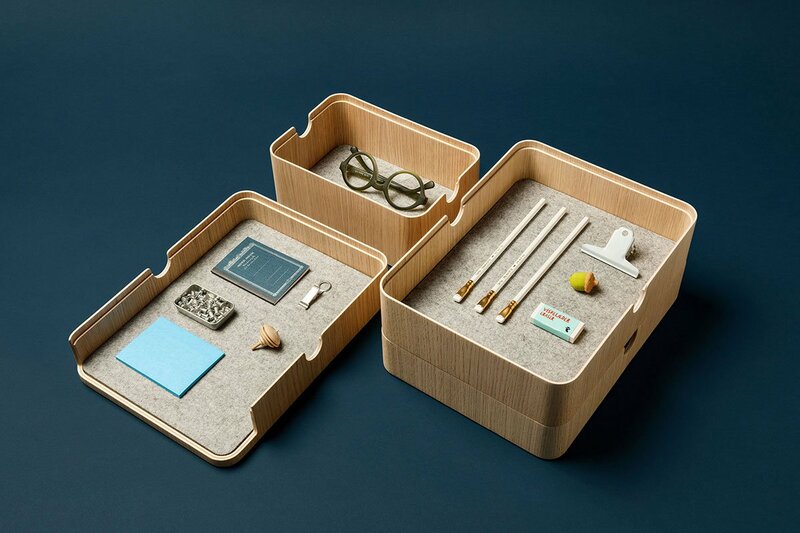 Mix and match three box sizes and four woods to create the perfect nesting place for any prized possession.